We are Washington DC's #1 Hot Tub, Swim Spa and Sauna dealer with the largest selection and the most helpful staff!. We are the authorized dealer of Hot Spring Spas, Limelight and Hot Spot Spas. We also sell Finnleo Saunas, Endless Pools Swim Spas and Infinity Massage Chairs. Relaxation is our business. We've been in business 30 years and offer the highest quality of service. We have 3 locations: Rockville, MD, Clarksburg, MD and Fairfax, VA. Call us today so you can start relaxing immediately! With over 40 years of servicing swimming pools under our belt, Gallagher’s knows how to get the job done. We service Carroll, Baltimore, Howard, and Frederick Counties and Southern Pennsylvania. We can fix your swimming pool problems and help keep your pool immaculate. We pride ourselves in our pool knowledge and customer service. 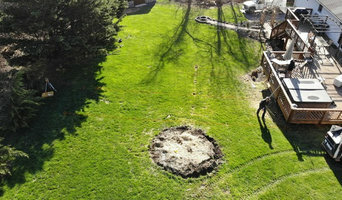 Offering a range of products including Doughboy Pools, Radiant Pools, and both Jacuzzi and Nordic hot tubs, Van Dorn does everything with the attention to detail and commitment to customer service you would expect from a family business. For all of your pool and spa needs, experience the Van Dorn difference for yourself! Since 1954, VanDorn Pools and Spas has been offering customers something truly remarkable: cutting-edge products and innovative solutions with small-town-feel customer service! Serving customers from our three convenient locations in Baltimore County and Harford County, Maryland and York County, Pennsylvania, we specialize in providing just the right pool or spa for you and your family. As the exclusive Maryland retailer of some of the best known, most prestigious manufacturers of above ground pools and spas, not to mention the most competent and trusted name among retailer-installers of Radiant Pools, we help to make your dream backyard a reality. Vienna Hot Tubs & Patio offers a wide range of hot tubs, spas, patio furniture and other outdoor furniture, hot tub accessories, and more. But what’s so great about our Tysons Corner hot tub and spa store? -We have the largest selection of name brands (ask about our Sundance spas and Sundance hot tubs!). -We’re cost competitive (ask about our discount hot tubs!). -Sales and service are outstanding. -We’re locally owned and operated – not a chain. 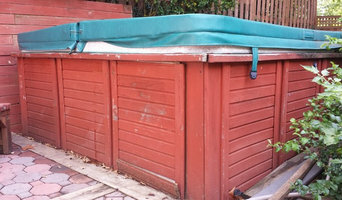 -Take your concepts to reality with Vienna Hot Tubs & Patio. -We’ve done the necessary research and development to find the best products in the spa and outdoor furniture industry, at the best prices. -Delivery includes the “white glove touch” – no boxes are left behind, furniture items are set in place, furniture is built for you, and much more. -We have factory-direct relationships, which means that you get great products at low prices. -Our hot tub and patio furniture store is centrally located in northern Virginia. -Many years’ experience in the industry of spas, hot tubs, and patios means excellent service for every customer who walks in. -Our company goal is to build a long-term relationship, not just make the sale. We stand ready to answer your questions and listen to your concerns about the purchasing of spas, the care of spas, and more. With over 35 hot tubs on display in our Rockville showroom, Hot Tubs of Rockville is the largest hot tub and spa dealer in the eastern U.S. We do much more than sell hot tubs. We guide customers through the full process of selecting the right spa for their requirements and budget, arranging for delivery, ensuring that the spa stays in excellent working condition, and providing accessories that make the experience of using the hot tub safer, healthier, more convenient, and more enjoyable. Our talented professional team is standing by to assist you during the entire process of adding a spa to your space, as well as at any time afterward as needed. We are ready to answer your questions with honesty and integrity. We avoid the “hard sell” that you might experience at other hot tub dealers. Our goal is to make sure that you feel satisfied and knowledgeable in your decision making, so that you can select and enjoy the hot tub of your dreams. Our expert technical team is available to solve any problems that may arise regarding your spa. Tell us about your situation, and we will visit your location immediately to diagnose the trouble, replace any nonfunctioning parts, and resolve any other issues. If you decide to move to a new location, our professional moving team is available to transport and reinstall your spa, always safely, and always with care and professionalism. Because of the relationships we have built with the factories and top-of-the-line brands that we carry, Hot Tubs of Rockville is able to offer the most technically advanced spas on the market, at the lowest costs around. You won’t be able to beat the prices we offer. We have been in the hot tub and spa business for over 25 years. Come to our showroom to view our large selection and learn how owning a hot tub can help you and your family feel happier, healthier, more invigorated, and more rejuvenated than ever before. Chesapeake Spas & Hot Tubs has been serving our Maryland customers for over 27 years. In the early 80's we opened the doors of our first showroom back when Hot Spring Spas had only 6 spa models. Since 1985, we have grown to have the largest selection of portable spas, and leisure products and accessories. Our friendly easy-going sales staff, all with many years of experience in the spa industry and their no-pressure approach will make your visit a pleasant and an educational one, geared to helping you make the best decisions for you. If you need help with your spa location and setup details at your home, one of our sales staff will gladly come to your home and share their expertise to help you make the right choices on location and the models that are best suited for you. Call or come in today! What should I know before I visit hot tub stores near me? It’s important that you do some research before visiting a local Odenton spa and hot tub dealer. While they can give you lots of information about features and financing, you should have an idea of where you would like to position your spa and what its main function will be. Do you plan to use it mostly for relaxation or socialization? How many people will be using it? All of these things will help the hot tub dealer pick the best models for you. Decide who will be responsible for daily maintenance in your household and if the extra energy costs are something you’re actually willing to incur. Also, know that most hot tub stores in Odenton, MD let you do test soaks, also known as a “wet test”, where you can throw on your suit and take each model for a spin in the showroom so you know exactly how they feel before purchasing. Don’t be shy — just think of it as test driving a car! What sort of maintenance is involved? How much time will it take? How long has the manufacturer been in business? How long has the hot tub dealer been in business? What does the warranty entail? How soon can it be delivered and installed? Are there any specific water or zoning requirements for my local area? 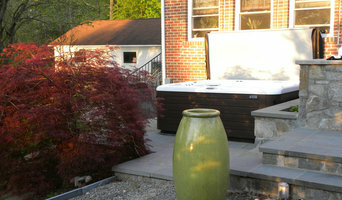 Find spa and hot tub dealers in Odenton, MD on Houzz. Narrow your search in the Professionals section of the website to hot tub and spa dealers in Odenton, MD. You may also look through photos to find hot tub designs you like, and ask about the details of the spa, including the manufacturer and where it was was purchased.